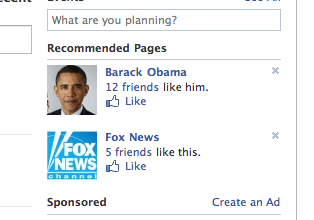 Facebook presented an odd pairing of recommendations to me today. Interesting way to gauge the views of my friends if nothing else. Think there is any crossover – fans of both?